Note: I am available to meet at OSU. I can sometimes be found on the oval or other areas. But if you have a personal need/question, you need to email me to set something up by appointment. The more notice you give me, the better chance we have on meeting. 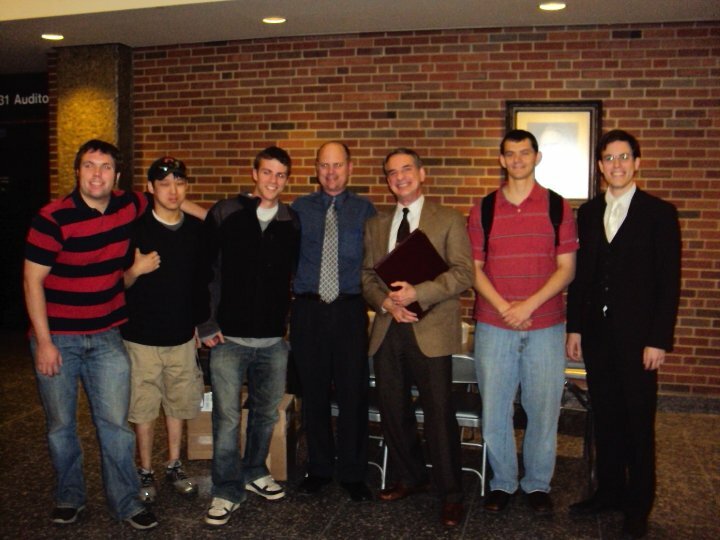 Dr. Frank Turek, co-author of I Don’t Have Enough Faith To Be An Atheist was at OSU on Feb 24th, Feb 25th 2011, for a two day presentation. This was a great event. To read about it and see the testimonies of those that attended it, click here. To see an atheist ask Dr. Turek about whether or not she is going to hell, see here. This is a very lengthy discussion. Note: Anyone is welcome to come to the meetings. Yes, that means skeptics, people from other religious backgrounds, etc. And no, we won’t pounce on you if you take a different position. Involvement Fair: Aug 18th, 4-8 pm, the oval. Is Jesus the Jewish Messiah?” Dr. Michael Brown, Sept 26th, 2013. Spring 2015: We meet at Enarson Classroom Rm 226 on Mondays, 5:30-7 pm. Our first meeting was Jan 26th, 2015. 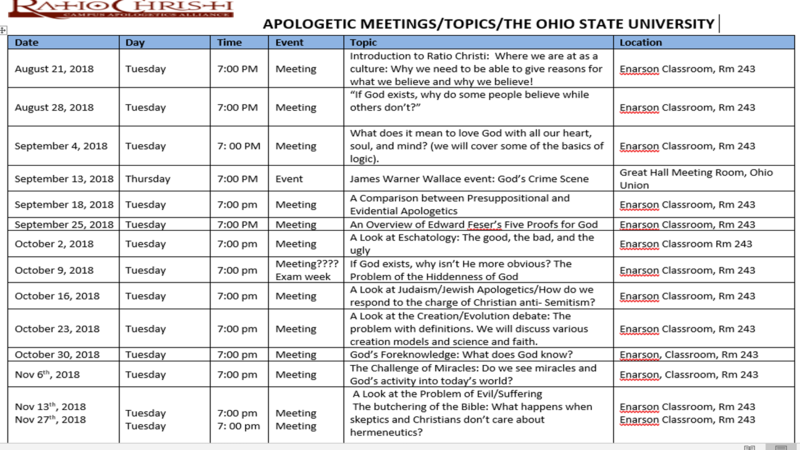 Fall 2015: Dr. Frank Turek will be at The Ohio State University, Oct 12th, 2015. Feb 2016: Dr. Michael Licona: The Resurrection of Jesus, Myth or Fact? Meetings: Tuesdays, Central Classroom, RM 243, 7: 00 PM. James Warner Wallace: The Ohio State University, Great Hall Meeting Room, Sept 13th, 2018, 7: 30 pm. But I am emailing you because of my own feelings and thinking about ministry. I am constantly slaving over the thought of ministry! Do you have any suggestions on how I can or should face this dilemma?